Our Glastonbury Goblet features a tapered stem, with a lavish Celtic knot work neck, supporting pewter bowl with a genuine abalone stone. 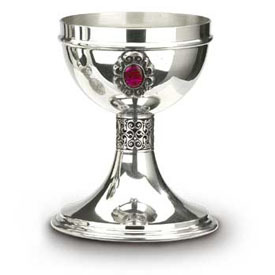 The Glastonbury Goblet has a 10 ounce capacity. Made of the finest English pewter in the United Kingdom.